"Fox and Friends" Gretchen Carlson wasn’t on vacation for the two weeks she was gone, she was battling Lyme Disease. While this hasn’t made mainstream headlines, she did mention it in passing on "Fox and Friends" live. 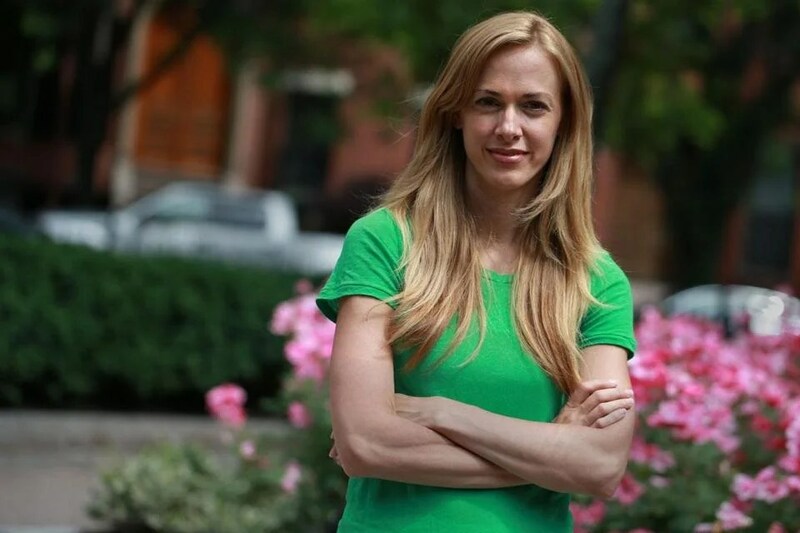 Gretchen lives in Connecticut, which is the state that had the first diagnosed case of Lyme Disease decades ago. It also remains one of the most active states for new cases of Lyme Disease. She also tweeted about her illness on the "Fox and Friends" Twitter Page. I watch Fox and Friends every morning as I drink my coffee and knew she had been off the show for quite a while and one day last week when she was back she was having trouble thinking of something and she tapped her head and said “Lyme Brain” and I knew then right away, most probably had know idea. I thought I would Google it today and indeed she was down with Lyme disease. A New York teenager who collapsed in his yard and later died may have been bitten by a tick carrying a deadly disease, his family says. Seventeen-year-old Joseph Elone of Poughkeepsie, an honor roll student who wanted to become an environmental engineer, died shortly after midnight Aug. 5, according to his family. “Joe was full of life, gifted in so many things,” said grieving father Benedict Elone. Elone had a minor cough, fatigue and a headache for about two weeks before his death, but his family said it seemed like a summer cold. And then, Elone watched his son collapse in front of their home on the evening of Aug. 4. He wasn’t breathing, and no one knew how sick he was. His father rushed to him in the yard. “I hugged my son, I called him. He couldn’t even answer,” Benedict Elone said. Joseph was taken to Vassar Brothers Medical Center, where he later died. Dutchess County officials, citing initial testing, believe Elone may have been bitten by a tick infected with Powassan encephalitis. The virus is untreatable and can be transmitted by a tick bite in a matter of minutes. A recent study by the journal Parasites & Vectors shows 6 percent of ticks in the Hudson Valley carry a variant of the virus, according to The Poughkeepsie Journal. Researchers say the number is low compared to Lyme disease carriers, but it’s also higher than expected. “There are no diagnostic tests for the disease, and no treatments that are effective,” said Dr. David Roth, co-chair of the Tick-Borne Disease Alliance. Joseph Elone, a talented student and musician, was getting ready for his senior year of high school, with plans to apply early decision to Brown University. When the ‘cure’ doesn’t end the pain? Some Lyme disease patients have symptoms that can linger for years despite standard treatment. Scientists are puzzling over how that can be? Brandi Dean wanted to slink home. Her husband had rushed her to a Boston emergency room for severe vertigo, confusion, and a bizarre weakness on her right side, but neurological and other tests had yielded nothing. Maybe, a doctor suggested gently, it was a panic attack. “I was so embarrassed,” said the soft-spoken Dean, who left Beth Israel Deaconess Medical Center wondering whether the stresses of being a mother of two young sons had caused her to become so sick. She was still reeling from the experience a week later when her phone rang. One of her lab tests had come back positive — for Lyme disease. Doctors put the 36-year-old South End woman on three weeks of antibiotics and Dean immediately began to feel well. But when the medication ended, so did her better health. Abruptly, Dean was catapulted into one of the most contentious debates in medicine today: Why do up to 25 percent of people treated for Lyme disease report lingering symptoms, lasting from days to years? Many Lyme sufferers and activists, and some doctors are convinced that the bacteria that cause the disease can, especially if not caught early, evade antibiotics and the body’s immune system by burrowing into joints, the nervous system, and other tissue to wreak sustained havoc. Most infectious disease specialists, however, say there is a lack of convincing evidence for this persistent infection and that a month or less of antibiotics usually knocks the disease from the body. They suggest other causes: another illness or reinfection through a second tick bite. Or patients may have a syndrome triggered by Lyme that causes long-term fatigue or pain. Underlying the emotional impasse is this simple fact: Lyme bacteria have rarely been found in patients after a cycle of antibiotics. Lyme tests look not for the bacteria but for antibodies, which the immune system makes to attack the microbe. Now researchers are looking more intensely for the bacterium itself in people, hoping to resolve whether the organism, or some remnant of it, makes some people sick. No one disputes that many people remain ill after they should have been free of symptoms. A conservative estimate suggests there could be more than 5,000 people in Massachusetts alone experiencing these lingering problems each year. That number includes only people who get positive or probable test results using CDC diagnostic criteria; Lyme activists say there are thousands more people who are missed because the government’s criteria are too narrow. Tufts Lyme researcher Dr. Linden Hu spent four years getting federal approval to place ticks on volunteers for his work. Many patients say they find relief by taking antibiotics for months or even years, which they see as further evidence they have a persistent bacterial illness. The medical establishment frowns upon the practice, however, because it says there is no proof long-term therapy helps, and it can harm patients and society, by fostering the emergence of antibiotic-resistant pathogens. Many insurers, in turn, refuse to pay for extended dosages of the drugs. Earlier this year, Dean and her husband made a difficult decision to spend $50,000 for an eight-month course of intravenous antibiotics. “I just want to be better,’’ said Dean, a former Coast Guard petty officer. As her sons Finn, 2, and Rylan, 4, played nearby, she shook her head. Active her entire life, Dean was reduced to lying on a couch for weeks on end when she became ill, and she’s upset that her symptoms were dismissed as being all in her head. “Someone comes to a doctor really sick and then are sent to a psychologist; I don’t understand that,’’ said Dean, who cofounded a Boston Lyme support group and blogs about her experience. “How does that really help them? The nemesis Dean blames for her illness has a long history of making people miserable. The Lyme germ is part of a group of slender bacteria called spirochetes that are coiled like a twisted telephone cord. Filaments attached at both ends of the cell spiral like a corkscrew, propelling the organism. Not all spirochetes cause disease — some live in our mouths, for example — but those that do have caused widespread suffering: Syphilis, a sexually transmitted infection with a range of symptoms, and relapsing fever, which causes cycles of high fever, are both caused by types of spirochetes. Scientists who first observed spirochetes under a microscope thought they were animals because they behaved so differently than other bacteria — curling up and springing forward to change direction — according to Dr. Alan Barbour, a longtime Lyme expert at the University of California Irvine. “I find them endlessly fascinating,’’ he said. No one knew exactly what pathogen ticks were spreading to cause a mysterious arthritis-like disease affecting children in and near Lyme, Conn., in the 1970s. But In 1982, Willy Burgdorfer of Rocky Mountain Laboratories in Montana identified the spirochete in ticks, and the organism was named in his honor: Borrelia burgdorferi. It’s hard not to admire the Lyme bacteria’s survival instincts. It has adapted to live in numerous animal hosts, from small rodents to birds. In humans, once the spirochete is deposited in the skin by a tick, it can motor off to lodge in joints, the nervous system, heart, and other places. It changes the proteins on its surface to disguise itself from the immune system. Some Lyme patients and some doctors view the spirochete as having the same capabilities as tuberculosis, which can lie latent in the body and take long courses of antibiotics to eradicate. But TB is a different type of bacteria, specialists say, and there is no evidence yet that the Lyme spirochete behaves the same way. In fact, spirochetes have been shown to be quickly killed off by antibiotics. Yet some researchers are investigating if some spirochetes can hide from antibiotics. One University of New Haven-led study published last year showed that in a test tube, concentrations of Lyme bacteria can group together, and the study’s lead author has suggested the structure might allow some cells to resist antibiotics. The 13th annual international conference on Lyme and other tick-borne diseases is being held in Boston this week, and the scientists attending are scheduled to discuss research into why some treated Lyme patients remain sick. “More and more, people are willing to look at (this) with an open mind,” Barbour said. In October 2010, Dean twisted to look over her shoulder at a mirror, trying to get a better glimpse of a bug bite on her left buttock. Five months pregnant with her second son, she saw a red dot with an ugly bruise ringing it. It disappeared after about a week. Dean didn’t recognize the telltale bull’s-eye rash of Lyme disease, and didn’t think of the bite again during the pregnancy — even when she began getting heart palpitations, panic attacks, and a tingling sensation in her face and shoulders. Doctors chalked it up to a tough pregnancy, but Dean was perplexed. With the exception of getting mono as a teen, she had hardly ever been sick. Growing up in Upstate New York with her two brothers and sister, Dean roamed the woods, played baseball and volleyball, and loved to dance. Later — after burning out on 70-hour workweeks as a hotel general manager — she signed up for the Coast Guard and worked in search and rescue. She left to get a business degree at Boston University, then went to work at a private equity firm, where she met her husband, Chris. Yoga, running, and hiking were big parts of her life — friends remember Dean running a road race shortly after Rylan was born. But after Finn’s birth in February 2011, she didn’t bounce back. She became so dizzy she was afraid she would drop Finn or pass out when she drove. Dean began losing hearing for a few seconds at a time and one morning was unable to open her right eye for several harrowing seconds. Hours later, her husband rushed her to the hospital. To Dean, her Lyme diagnosis made sense, but the day after finishing the antibiotics she felt awful, suffering exhaustion, vertigo, and a constant buzzing in her head. Her primary care doctor said he believed the Lyme test result was a false positive and suggested she take an antianxiety drug, according to medical records Dean provided to the Globe. Soon after, she went back to the doctor’s with her husband and saw a different doctor. Chris became outraged when this physician also said his wife’s problem was anxiety — something was clearly physically wrong with her, and the doctor just kept saying it wasn’t Lyme. Three separate tests, all done in accordance with CDC criteria, came up positive for Lyme, according to her records. But because tests sometimes come up positive after the infection is gone, doctors may doubt test results unless accompanied by a clear clinical sign, such as the bull’s-eye rash. “I thought I was going crazy because no one believed I was sick,” Dean said. Soon, she began mining the Web for Lyme information. About two months after her first ER visit, Dean called a different doctor, one known to patients as “Lyme literate” because, contrary to many in the medical establishment, she believed that Lyme caused prolonged symptoms. Dr. Linden Hu’s wife at first didn’t want to sleep in the same bed with him after he came home with several dozen deer ticks feeding on his forearm. Hu, a Lyme researcher at Tufts Medical Center, had become intrigued by a series of studies in mice, dogs, and monkeys that were infected with Lyme and then treated with antibiotics. Uninfected ticks placed on some animals were able to find what doctors long thought weren’t there: the bacteria that cause Lyme disease. Called xenodiagnosis, the novel practice tries to diagnose a disease using the same animals that transmit it. Since ticks have evolved to pick up the Lyme bacteria from animals in the wild using chemical signals in their saliva, the reasoning goes that uninfected, lab-raised ticks should also be able to “find” the bacterium in treated animals if it is there — even if a blood test can’t detect it. In animal studies, the Lyme spirochete pulled from the animals could not be grown in the lab. But in the mouse study, the ticks were able to transmit the live spirochete to other mice. Hu does not know the answer yet, but he figures a good place to start is to see whether the spirochetes can be recovered from humans the way they are from animals. He is pursuing the work with Dr. Adriana Marques of the National Institutes of Health and Yale University. They, along with other scientists, are searching for the reasons that symptoms persist in some treated Lyme patients. Dr. Linda K. Bockenstedt, a professor at Yale School of Medicine, has found traces of proteins from the Lyme spirochete within joints and adjacent to cartilage after Lyme-infected mice were treated with antibiotics. She and her colleagues suggest that these leftover proteins could be causing an immune reaction that helps keep joints inflamed after the bacteria have been killed. Much of the Lyme research is in animals, but those findings must be validated in humans. Hu spent close to four years getting federal approval to place ticks on volunteers. There was opposition from some Lyme activists who worry the ticks could be infected with an unknown pathogen not yet discovered. Hu says there is a chance of passing a yet undiscovered pathogen but points out that the ticks are raised in the laboratory and tested for all known pathogens. Hu placed the ticks on his arm because he didn’t think it fair to put the 39 volunteers through something he had not done himself. About 30 ticks are placed on each person, usually close to where they remember they were first bitten, to feed for about five days. The ticks are then removed and examined to see whether spirochetes can be found. “Xenodiagnosis has an ick factor,’’ acknowledges Hu, who declined to discuss the findings until his work is published in a scientific journal. Even if the ticks succeed in pulling spirochetes from humans, there is still the next big question to answer. “Is positivity related to symptoms?” he asked. She prescribed long-term oral antibiotics. Dean’s progress was slow — improvement was measured by staying up past 8 p.m. and being able to walk a block with her sons. After a year, she was able to resume yoga. But she was frustrated; she didn’t want to be on antibiotics at all. By April of this year, more than two years after the bug bite, she and her husband decided to have a port inserted in her chest to get intravenous antibiotic treatments for eight months, at a cost of $50,000, in hopes of knocking the disease out of her system for good. The couple is contemplating having a third child and Dean couldn’t even think about that possibility until she was really better. “I wanted to get to a point where I would no longer need to take antibiotics to feel well,” Dean said. The CDC’s Beard says four clinical trials in humans failed “to show convincingly that patients benefit from long-term antibiotic therapy.” But many patients and Lyme activists, and some doctors say more research needs to be done to understand why so many patients feel better when they take them. After Dean had the port inserted, and before she began taking antibiotics, her blood pressure dropped to dangerously low levels and she was rushed to an emergency room. She had the port removed. Now, she faces a dilemma: On oral antibiotics, she is almost well. Off them, she is very sick. She stopped taking one antibiotic two weeks ago and the dizziness, buzzing head, and swollen lymph nodes immediately returned. The couple is moving to the suburbs in the fall, and Dean says she will try again. She is unsure of the future, still unsure about a third child. “I have to wait and see what happens,’’ she said last week.